Vaporin, Inc., a distributor and marketer of vaporizers and e-liquids products, today announced they have signed a lease for the opening of another Vape Store. Located in North Fort Myers, Florida, the new store is positioned in a highly visible and heavily trafficked area. The Company is using cash flow from existing Vape Store locations to fund the development of the new store; no additional investment is needed. 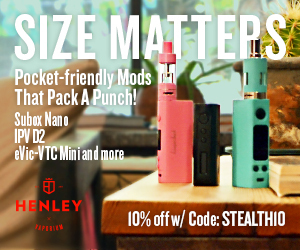 Retail store sales continue to be one of the fastest growing segments of the vapor market. In fact, the number of vape stores have tripled over the last year. 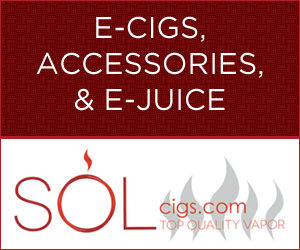 According to a recent report issued by Wells Fargo, the e-cigarette market has decreased $400 million from $1.4 billion to $1 billion while vaporizers, tanks, and mods have increased $400 million from $1.1 billion to $1.5 billion. The retail vape store segment alone has also grown to be a $1 billion market. The Company recognizes this trend and is focused on the expansion of The Vape Store retail locations. Vaporin, Inc. has plans to aggressively accelerate the growth of their retail store model with continued acquisitions of existing stores as well as opening new store locations. Currently, the Company forecasts approximately $650,000 in annual revenue per vape store. 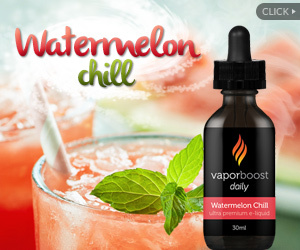 About Vaporin, Inc. Vaporin is a distributor and marketer of vaporizers and e-liquids products. The Company focuses on a multi-pronged revenue model comprised of convenience store sales, online retail continuity programs, vending machines, and the acquisition and opening of brick and mortar retail stores. Vaporin’s innovative technology offers the look, feel and taste of traditional cigarettes without any tar, tobacco, smoke and odor. As an alternative to traditional cigarettes, Vaporin is offered in a variety of disposable and rechargeable starter kits and flavors. The unique Vaping Pens product line and Made-In-USA E-Liquid is what makes Vaporin one of the emerging brands in the market. Vaporin is not just an alternative to traditional smoking, but a lifestyle. For more information please visit, www.vaporin.com.